Party four out of 5 – I’ve nearly made it to the end alive! 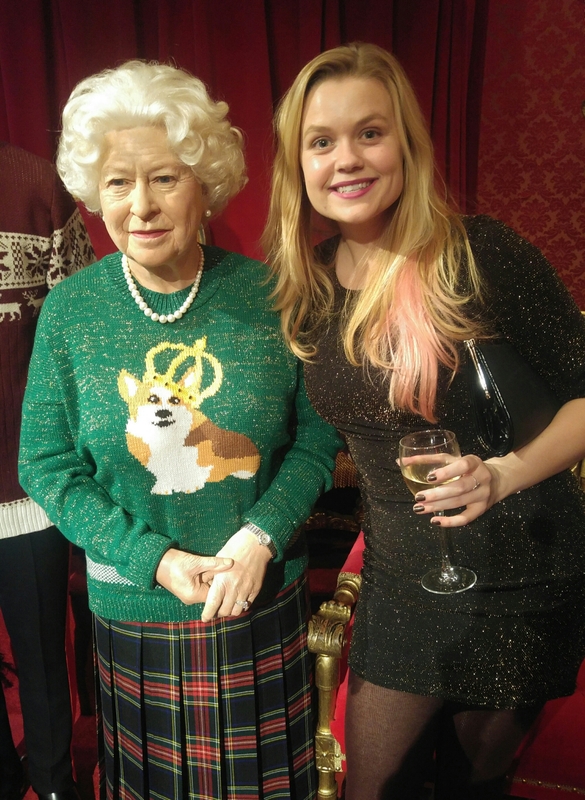 Tonight was my main work party at Madame Tussauds, so how could today’s photo not be me and the queen?! Another excellent night with excellent friends. Now, get me to bed! That is awesome! Haha- that corgi sweater is hysterical!! I know, right! Haha I loved it.